Buffy Season Eight, Vol. 4-5 – Winning. Words. Harmony! Of course she’d end up being a reality TV celebrity. Of course she has a legion of PR minions doing her bidding. And of course she ends up kick starting one of the big topics Buffy’s never really properly explored – exposure. With vampires and slayers now hitting the headlines, what can possibly happen next? Clem. Is. Back. This makes me happy inside. Of course, talking of epic, the Buffy writers aren’t above getting back to the basics for a little ‘old time’s sake’ reminiscing. 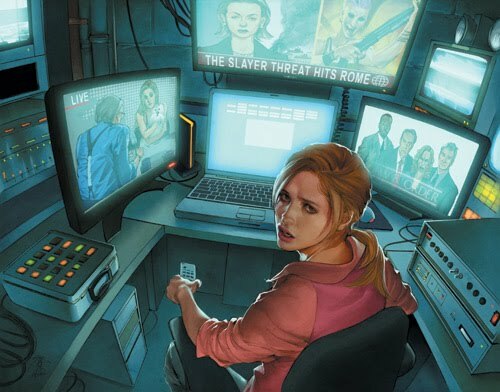 Which results in the comic’s most daring and brilliant story to date, ‘After These Messages… We’ll Be Right Back.’ As well as functioning as a pseudo-sequel to season four ep Restless, it resurrects the character designs from the defunct Buffy animated series and gives us a season one yarn that splices into the season eight continuity. Fan. Gasm! Studio Ghibli have Totoro. Toy S tory has the little green alien things. 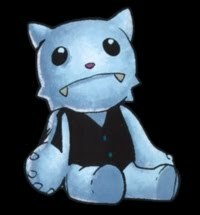 Now Buffy has… Vampy Cat! Adorable and deadly – the perfect combination. Where can I get one? The Adventures Of Faith And Giles continue. I can’t wait to see this story strand fold into the main season eight arc. Where’s Tara? Alright, she’s dead, but that hasn’t stopped Warren. 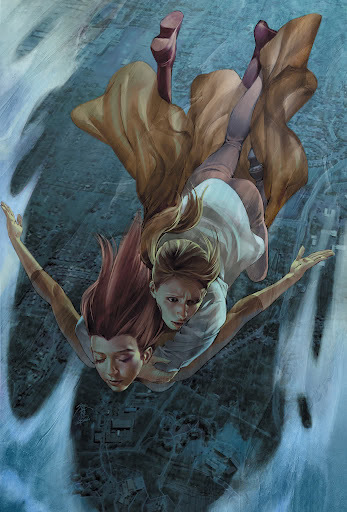 We know Amber Benson didn’t want to come back for Buffy’s seventh season, but there’s nothing stopping Tara being drawn/written in comic form. Scrap Kennedy, give us a Tara cameo! I’m all for crazy new budget-free demons and hi-jinks, but sometimes the writers aren’t quite sure where to draw the line. So far, Dawn’s been a giant, a centaur and a doll (yawn), while she and Xander encounter silly tree things straight out of Lord Of The Rings. Twilight. He’s the big bad this year (sorta), but for all five volumes he’s had nothing to do except hit Buffy with a church spire and tell her she’s doomed. Which we’ve pretty much already seen before a gazillion times over (minus the spire part). Riley. So Riley’s back, and he’s still being a doofus (albeit a vaguely helpful doofus). It surprises me that the Buffy writers bring back certain characters even though they know the fanbase hates them. Riley and Warren are just two. Hopefully they’re both heading for sticky ends. And that brings us right up to the end of Vol 5. 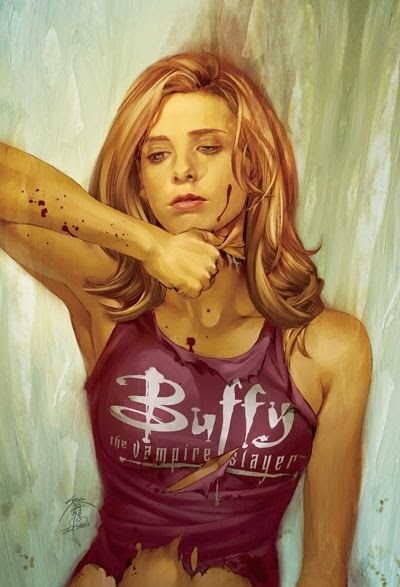 Without getting too gross and fanboyish about it, Whedon and co should be commended for managing to retain the essence of Buffy in comic form, even though they’re playing in a whole new sandbox. Free from the 40-minutes-per-episode format, they’ve fully embraced the comic-book medium, effectively mixing one issue stories that fit into the greater arc (‘Safe’) with multi-issue stories (‘Time Of Your Life’). If anything, Buffy could even work better in comic form – one notable plus is that it gives the writers freedom to devote an entire issue to a character who might otherwise get short-changed by a TV episode.